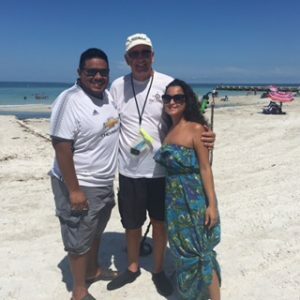 Susana and Kharlo Quinones were in Venice for their usual visit all the way from Orlando to the dog beach in Venice, Florida. 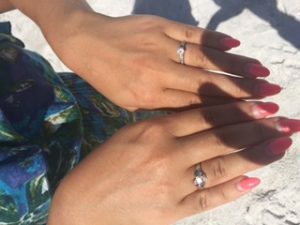 While playing with their dog, Susana felt her ring come off her finger and had a general idea of where it had fallen. 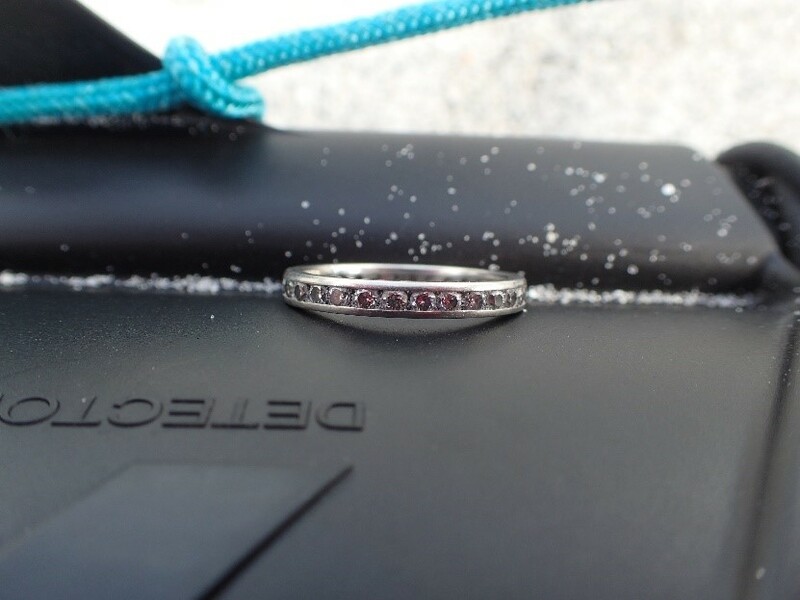 After searching in the sand, they googled lost rings and metal detectors and found SRARC’s email addresses. 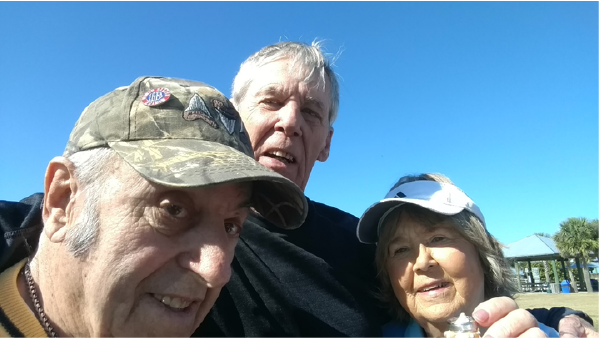 Member Stan Flack emailed Susana back and arranged for member Joe Borg to contact Susana direct and set up a time to meet as soon as possible. Susana met Joe early the next morning and downloaded him on the details. 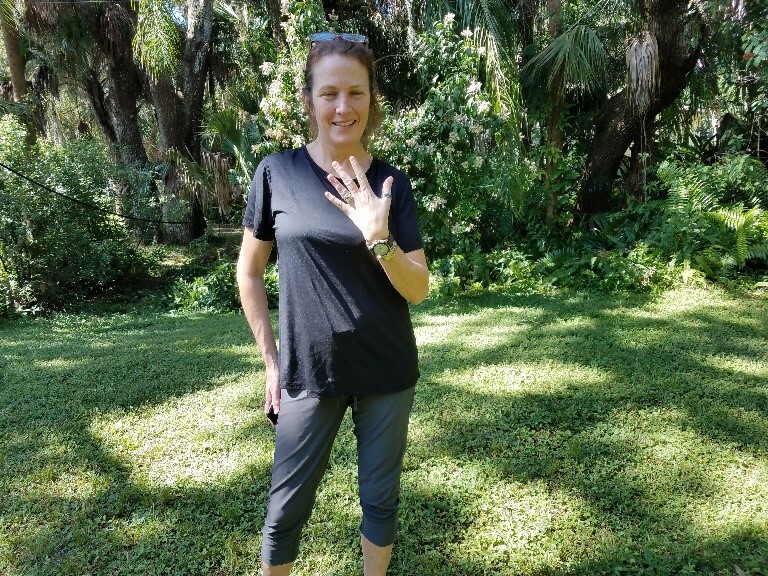 Joe went straight to work and within 10 minutes had found Susana’s ring to the delight of a very happy Susana smiles for everyone. 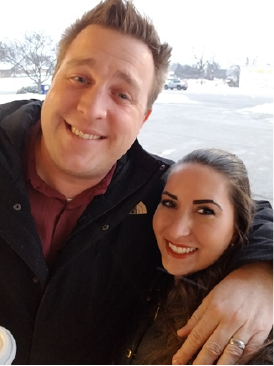 Kayl and Stephanie were visiting their grandparents for a short relief from the winter weather in Chicago. It was a windy cold day but Kyle wanted to get into the gulf waters anyway. 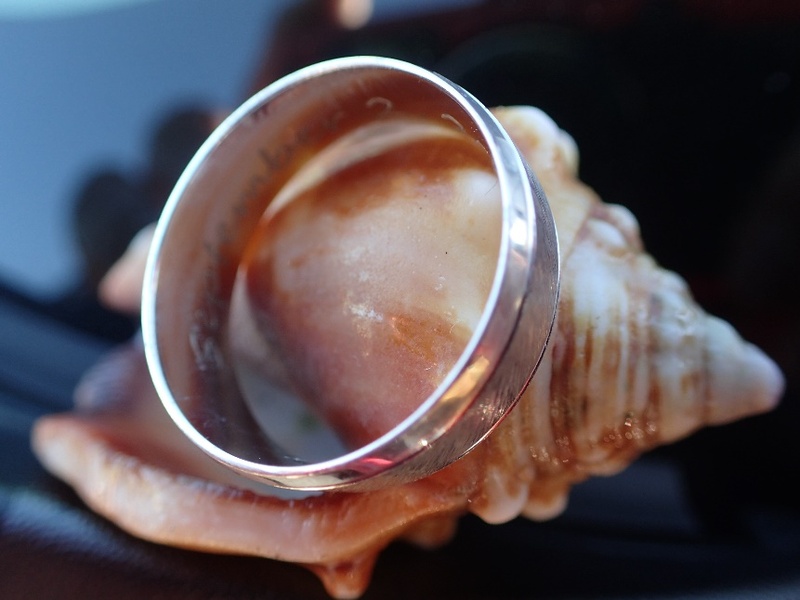 He ventured out into the rough water and was just contemplating put his head under the water when he saw is wedding ring of 6 months fall to the bottom of the gulf. He was devastated and started looking for it with his toes. After an hour he gave up and they went home. 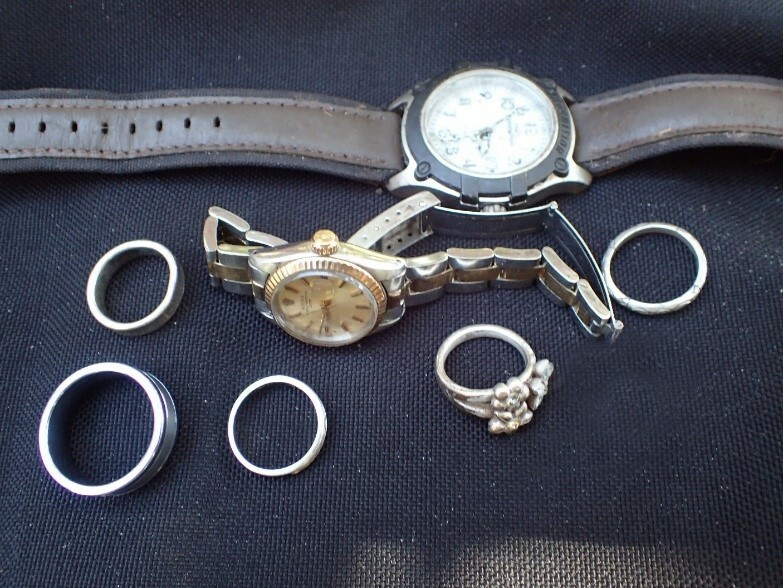 They found The Ring Finders site on the internet and contacted Stan Flack. 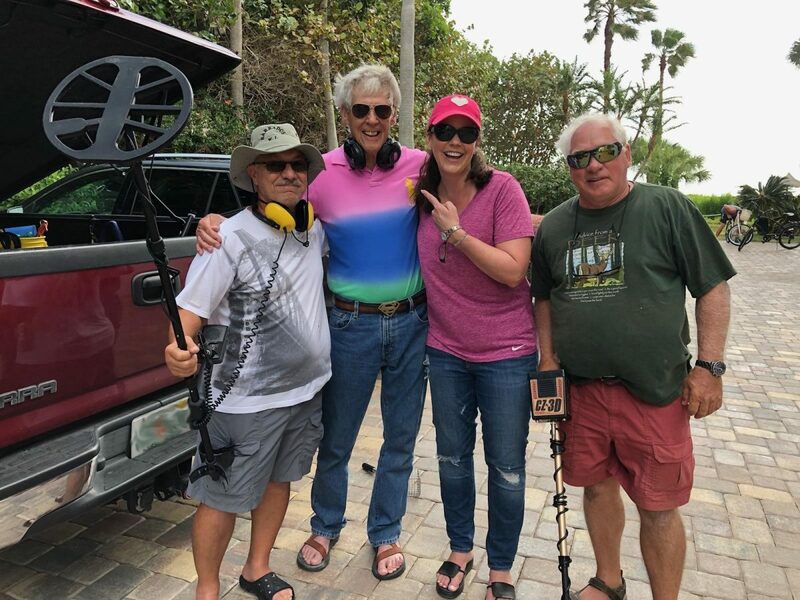 Stan posted their request to the SRARC Ring Finders group and Mike Miller relayed it to Jay and Karen Ganz. They met Kayl and Stephanie at the location and Karen did her best in the rough water to find it but was not successful. Karen rescheduled for the next calm water day and Mike met her in Englewood. After about 2 hours Mike was lucky enough to find the ring about 8 inches deep. 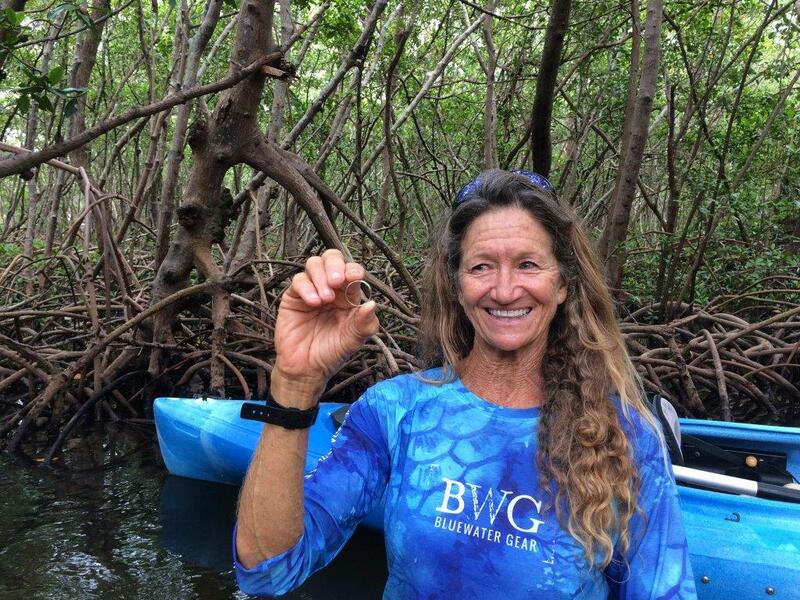 When Karen contacted Stephanie she could not believe we had found it. They had given up hope. 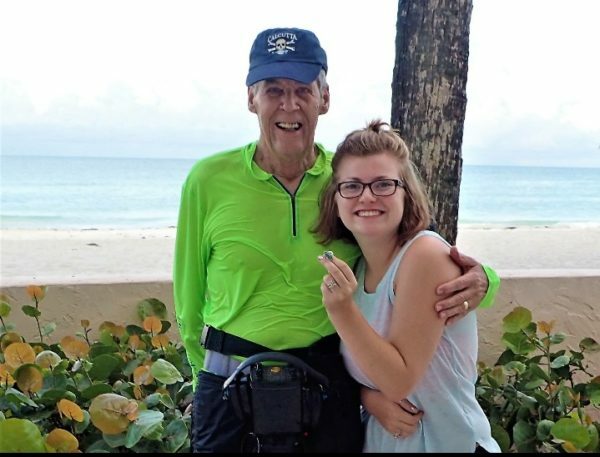 Jay and Karen connected with Kayl and Stephanie’s Grandparents and returned the ring to them. They sent it on to Kaly and as you can see, the result is nothing but smiles. 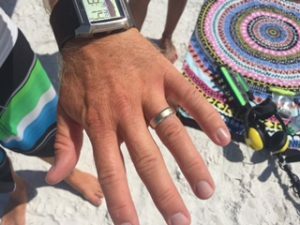 He lost his wedding ring at the beach. 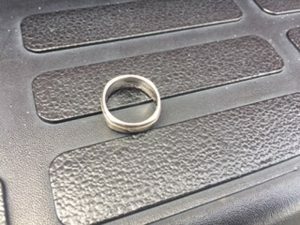 SRARC recovered and returned the ring! 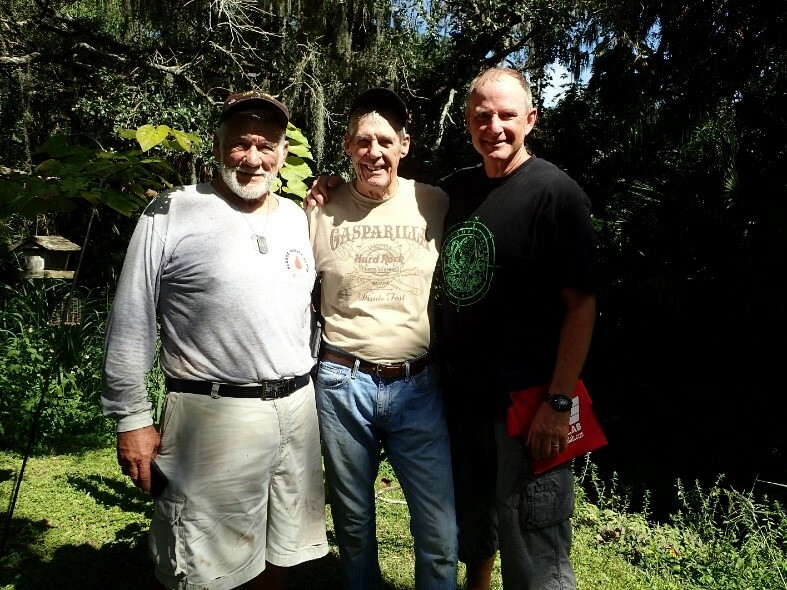 The recovery team: Karen, Jay and Mike. 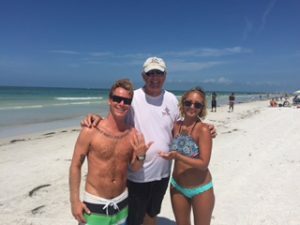 Jennifer & Eddie of St. Petersburg, (formerly of New York) were with friends enjoying Coquina Beach when Jennifer lost two rings! 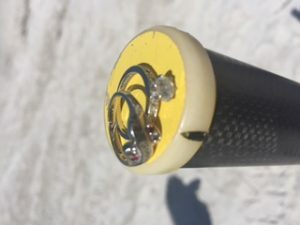 Before going into the water, Jennifer had safely stored the rings in a pouch on their beach umbrella. However, after packing up, she soon realized they were not in the pouch! 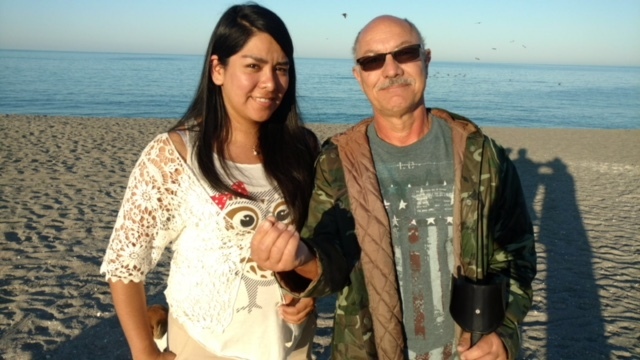 The couple contacted SRARC and Ring Finder member Wayne Cree went on the hunt. 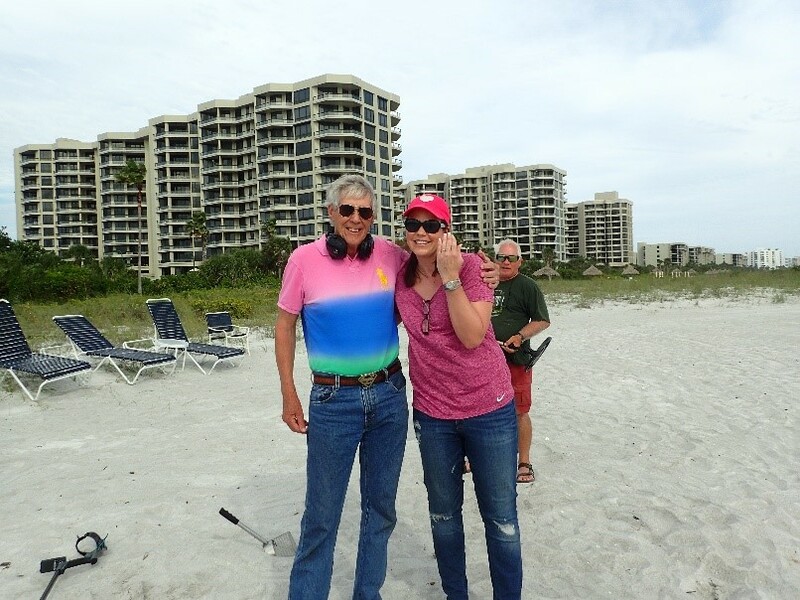 Jennifer had the spot marked and Wayne thought he was super lucky when he immediately found a dime, then a penny! 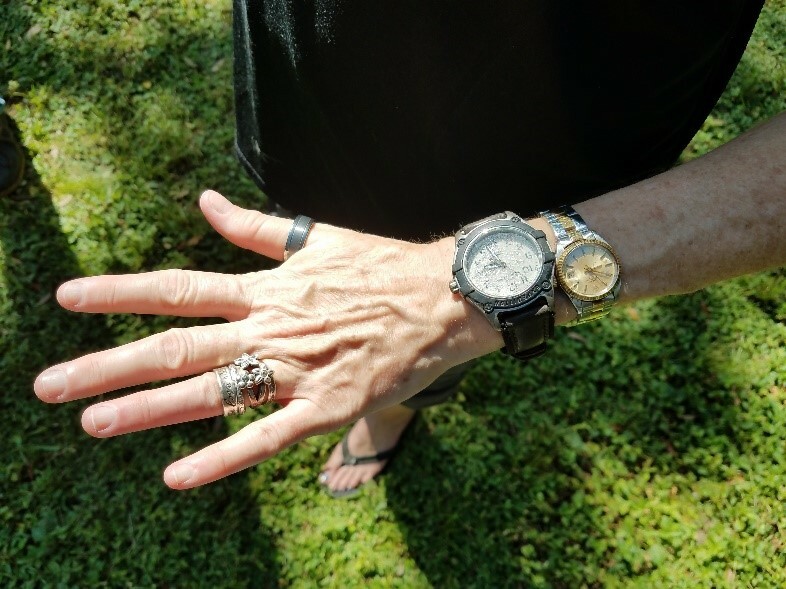 About five minutes later, Wayne found the first ring and thirty seconds later, the second ring. Needless to say, Jennifer & Eddie were thrilled. Way to go, Wayne. Keep the change! Grace and her husband were down for a family reunion from Indiana for the week. 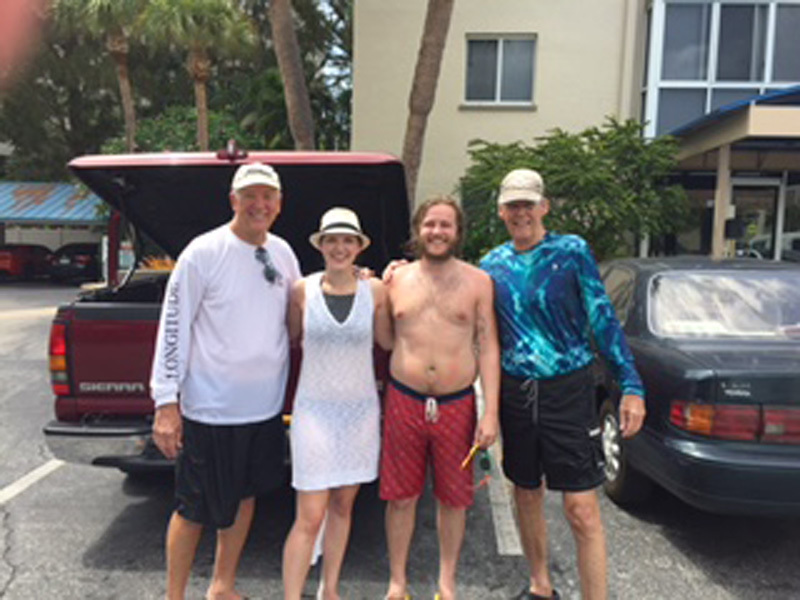 On Friday afternoon, she decided to swim out to join her Mom and Dad on the sandbar in front of their hotel. 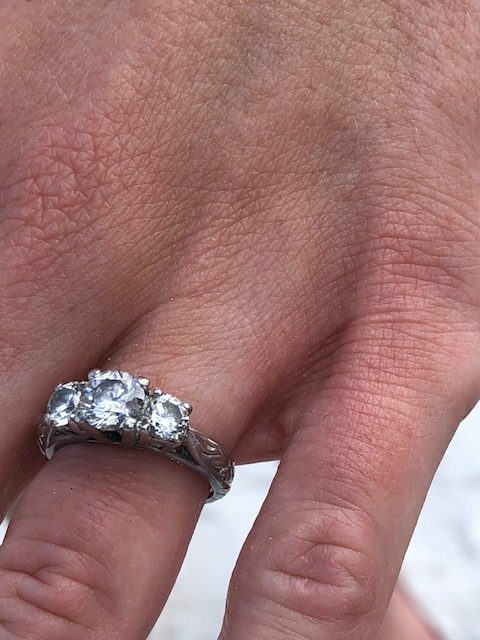 Shortly after arriving she felt the ring that her grandmother had given her slip off her finger! 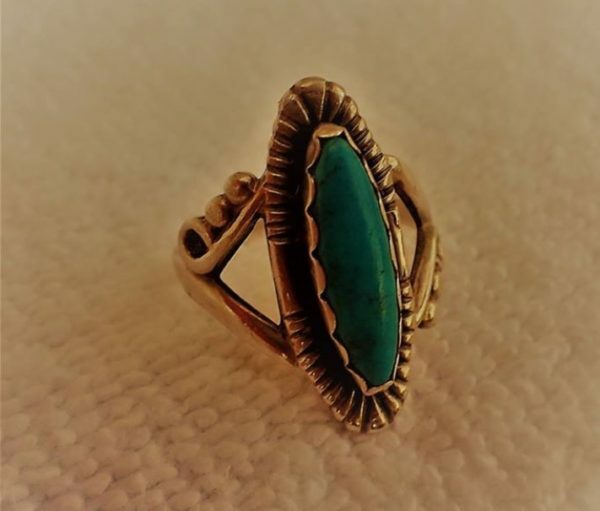 The ring was special to Grace because her grandmother had chosen it for her from jewelry that she had had for many years. Since Grace’s grandmother was there with the family it was especially hard to tell her it was lost. The family searched the sandbar for hours but could not find it. 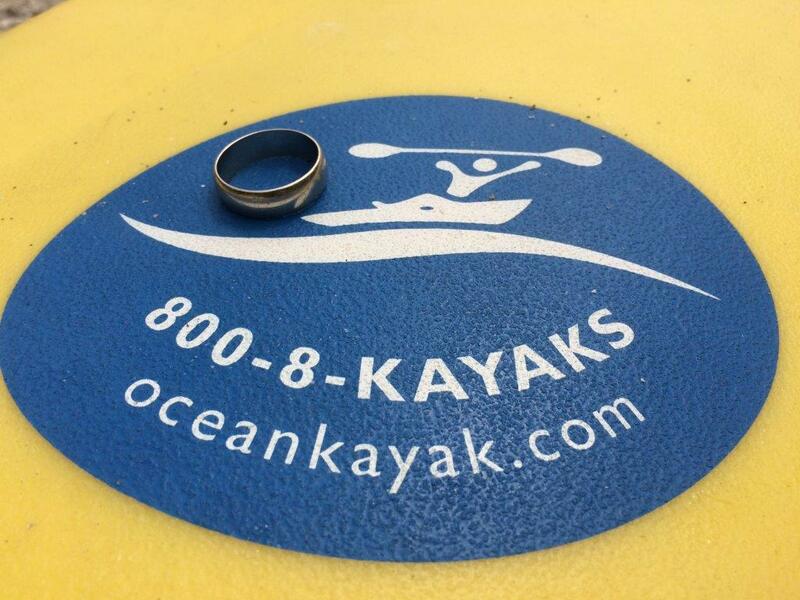 That night Grace did a search on Google “what to do when you lose a ring in the ocean” and up popped SRARC. She emailed the web site and Stan Flack contacted her. Stan called Mike Miller to see if he could meet her before they had to leave at 9:00 a.m. the next morning. Mike met her and got the details for the search. She said it was just up on front part of the first sandbar and off Mike went to the area she pointed to. It didn’t take long for Mike to figure out he could not walk out to the first sandbar. He had never attempted to swim with his detector and scoop but there is always a first time for everything so off he went. With a little effort, he made it and about 10 minutes later the ring came up in his scoop. The return trip was a little more difficult and he was out of breath when he finally touched bottom again. He does not recommend that anyone try that unless they have a float device so they won’t get into trouble. Grace and all her family were all very happy and amazed that the ring was recovered. SRARC is just as happy to have had the opportunity to help put a smile back on their faces! Well done, Mike! We are all glad you’re an excellent swimmer! 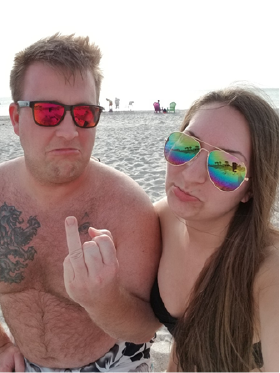 Kyla and Kyle were on a family vacation at Siesta Key from North Carolina. Kyla shared with Mike and I the family members on their trip were having a streak of bad luck. 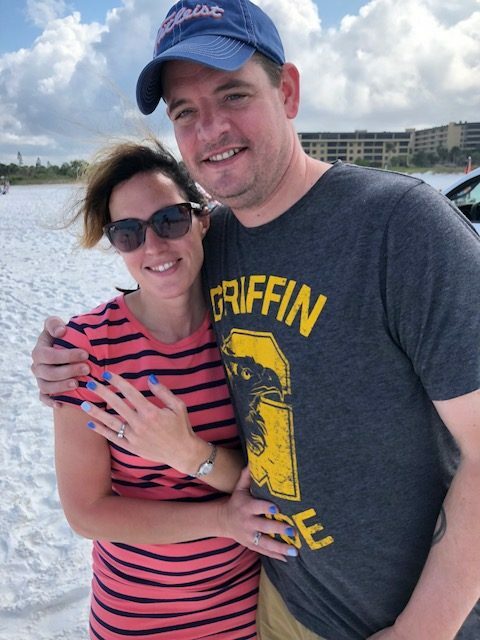 Their turn came at 3 PM on Saturday when Kyle was swimming in the gulf. Kyle was out in the gulf throwing a ball around and at one point digging for shells. Kyle had the location we should search locked down in his mind and came out into the gulf to show Mike and I the areas to hunt. Mike and I searched the chest to waist deep water first as that is where Kyle felt he lost the ring.